We always aim to beat a competitor's like for like quote. We are confident that our prices are extremely competitive as we put a great deal of time and effort into trying to ensure we offer the best car and van leasing deals at all times. 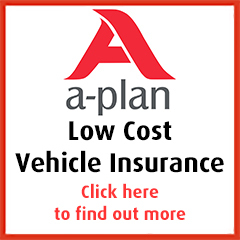 We usually have more than 20,000 car and van leasing deals on our website, however we may not have advertised our very best rental, the exact vehicle or model you require. Because of this we are willing to offer a PRICE MATCH CHALLENGE to all of our customers. If you can find a cheaper genuine price on a like for like basis from one of our competitors then we will always aim to match it. If we are unable to do so we will recommend that you take up their offer however be warned, not all offers are what they seem. To qualify for the PRICE MATCH CHALLENGE we must see a written quotation and not just an advert on another website, so we can ensure the quote is genuine and based on like for like terms. As a potential customer you have nothing to lose but plenty to gain – so please put our PRICE MATCH CHALLENGE to the test! Call Move Vehicle Leasing now on 0330 022 9040 and speak to one of our automotive consultants to discuss your specific vehicle finance, car contract hire and van leasing requirements.